Christmas came in April last year for plug-in electric vehicle proponents in British Columbia, Canada, when the provincial government reinstated its Clean Energy Vehicle purchase-incentive program. 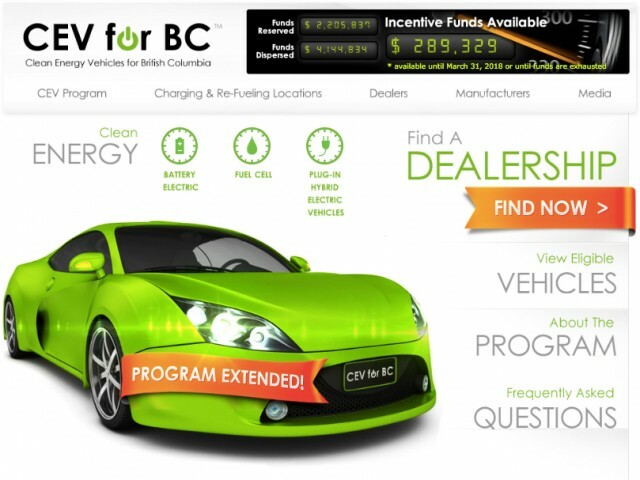 Purchase rebates for B.C. buyers of plug-in electric vehicles had ended in February 2014, when the program's funding allocated was depleted. It wasn't funded anew until April 2015. After several months, we can now estimate the effect of the rebates' return on the province's plug-in electric vehicle sales. B.C. car shoppers should be aware that the incentives will likely disappear again next month, as the allocated funds are again running low. All new-car sales qualify, regardless of the buyer's personal income or the vehicle price, or whether it was purchased from a franchised car dealer or directly from Tesla Motors. Electric cars do not, however, get preferential access to carpool (high-occupancy vehicle) lanes. This means that the rebates only affect the purchase price, making for a straightforward analysis of their effect. It would be premature to draw conclusions about the impact of incentives based strictly on monthly sales totals. Not only is the Canadian auto market highly seasonal, but such factors as gas prices, manufacturer and dealer incentives, the health of the local economy, and the availability of new or refreshed models all influence the total number of electric vehicles sold in a given region in a given month. To control for as many of these factors as possible, we looked at the ratio of plug-in electric vehicle sales in British Columbia to combined sales of the same vehicles in Ontario and Quebec. Those two provinces represent about two-thirds of the Canadian electric car market and have maintained their rebate programs, so they offer the best available baseline. Finally, because different plug-ins are targeted at different customers, separate comparisons were made for the Tesla Model S and BMW i3 (representing the luxury segment) as well as the Nissan Leaf, Chevy Volt and Smart Electric Drive (representing the non-luxury segment). A combined Leaf-and-Volt analysis was done, to allow us to compare with the article written when the incentives first expired. IHS Auto was the source of the monthly vehicle registration data, which do not distinguish between new vehicles and used imports from the United States. The small number of imports should not distort the trends, being less than one-tenth the number of new car sales. 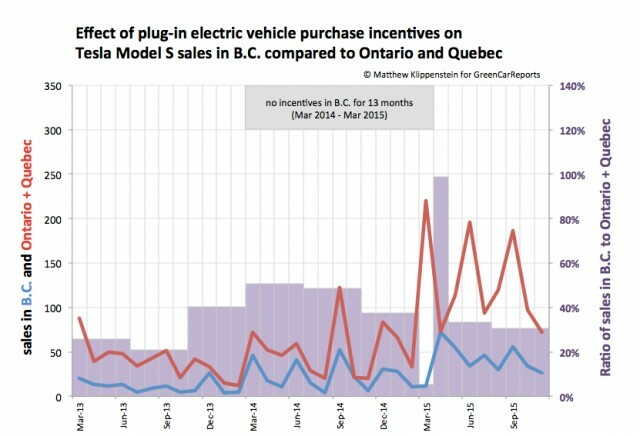 Relative to sales in Ontario and Quebec, the removal and return of purchase incentives didn't affect Tesla Model S or BMW i3 sales in British Columbia. The i3 sold 77 percent as many vehicles in B.C. as the other two provinces in 11 months without purchase incentives, and 75 percent as many in the first eight months after their return. B.C. 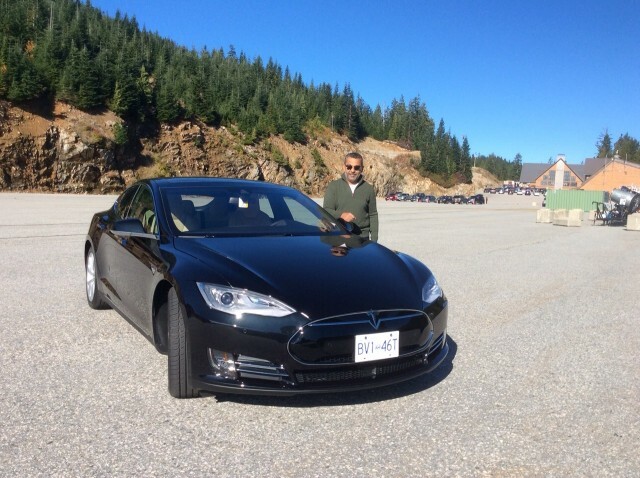 sales of the Tesla Model S were 27 percent of the central Canada total in the year before the B.C. incentives expired. But during the year that incentives were gone, the proportion rose to 37 percent; it has since held steady (35 percent). 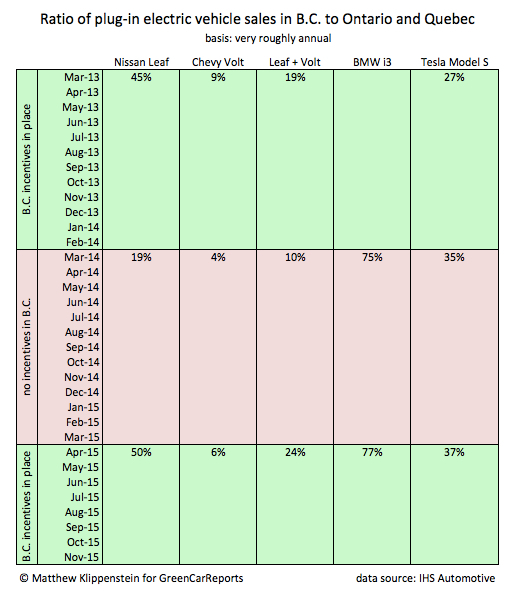 One noticeable quirk in the chart is that virtually no Tesla buyers took delivery of their vehicles last March (5 percent sales ratio) – they held off until April, when they would quality for rebates, leading to a 99 percent sales ratio between the two geographies for that month. The numbers seem to imply that British Columbia's $5,000 purchase rebates had little effect on the adoption rates of luxury plug-in electric vehicles. By and large, we might conclude, their purchasers could absorb the full sticker price. 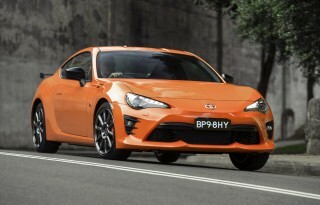 But it's a different situation among buyers of more mass-priced cars. 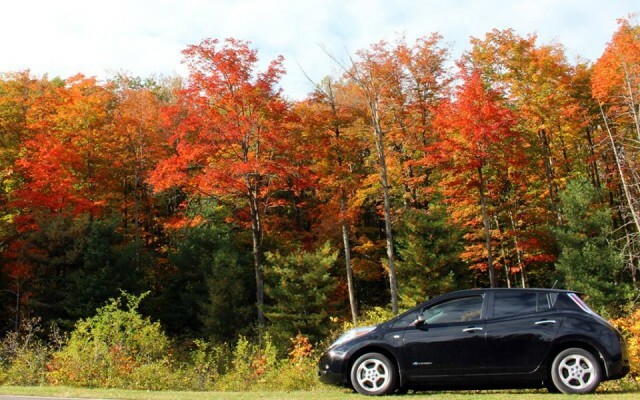 Sales ratios of the Leaf and Volt were roughly cut in half when the purchase rebates expired in 2014, and then jumped back to earlier levels when the rebates returned. The Chevy Volt's sales percent ratio over the same time period was 9-4-6. Those numbers are low, as the Volt is relatively unpopular in B.C.--but particularly popular in Quebec. As for why its sales ratio didn't jump back to the earlier level, that may be due to a combination of two factors. 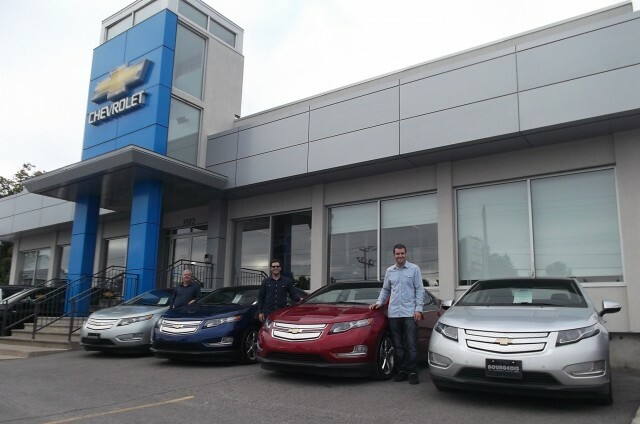 First is the growing success of Bourgeois Chevrolet in Rawdon, Quebec, which sold 251 Volts last year--almost one in six Volts sold in the nation as a whole, and about as many as the entire province of Ontario (population 13 million) purchased. Second, potential Volt buyers may have known by April 2015 that a new and improved 2016 Chevy Volt would be arriving at the end of the year, and deferred their purchases until they could assess the new model themselves. Among vehicles studied, the Smart Electric Drive had the wildest swings of all--at 46-9-41--which may relate in part to favorable leases being offered by Smart in the summer of 2014. Combined with government incentives, the Smart would have been very inexpensive in Ontario and Quebec, costing less than the average new car in Canada, which runs about $27,500. By that time, B.C. 's incentives had run out, making a Smart even on a cheap lease a less compelling purchase on the west coast. Combining the Chevy Volt and Nissan Leaf data as a proxy for non-luxury plug-in electric vehicles, the sales ratio before the incentives expired, during their absence, and then on their return was 19-10-24. In other words, British Columbia's $5000 Clean Energy Vehicle rebates appears to have doubled the number of buyers for those two leading models. The rebates would have brought the Leaf and Volt closer to the average new-car price; at time of writing, the Canadian websites for Nissan Leaf and Chevrolet Volt show them starting at about $33,000 and $40,000, respectively. The purchase rebates did not appear to impact the sales of the two luxury plug-ins examined, however. The Tesla Model S and the BMW i3 are listed at base prices of roughly $89,000 and $45,000, respectively. Debates around public policy often hinge on the cost-effectiveness of initiatives versus alternatives, the calculation of which is beyond the scope of this article. However, a landmark Canadian electric-vehicle study quantified how a variety of barriers and disincentives shrink addressable market for plug-in electric vehicles from 30 percent to 1 percent or below. It appears that an all-of-the-above policy approach tends to be more effective than a protracted search for one elusive, and often mythical 'silver bullet'. In the absence of a California-style Zero Emission Vehicle mandate, clean-energy vehicle purchase incentives clearly work to boost sales of fully or partially emission-free vehicles. 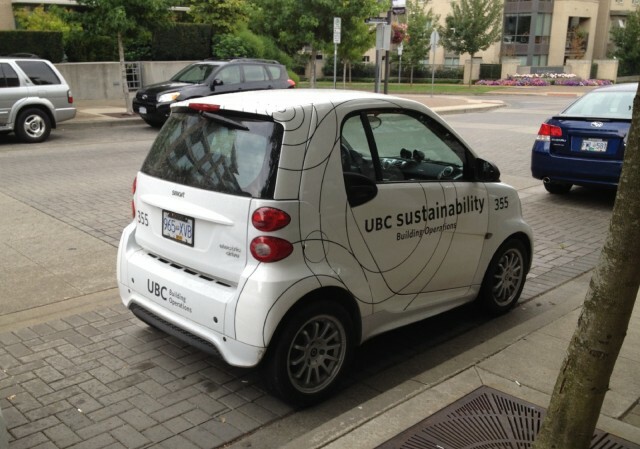 And electric-car advocates can only hope that the government of British Columbia renews the incentives once more, while also addressing other challenges identified as important as well (e.g. support for installation of chargers in multi-unit dwellings). Tesla sales: how much do rebates matter to buyers in Canada?